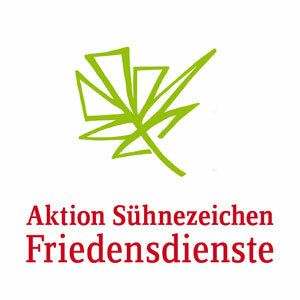 Since 1958 Aktion Sühnezeichen Friedensdienste has been contributing to peace and understanding within the framework of short- and long-term voluntary services, has been promoting human rights and sensetising society to the consequenses of National Socialism. Annually around 180 volunteers are involved in peace services with survivors of the Shoa, in memorial sites, in projects with children and young people with physical or mental impairments, in refugee and homelessness projects as well as in political educational work against right-wing extremism and anti-Semitism. For those who want to get involved in short-term services, Aktion Sühnezeichen Friedensdienste offers jointly with local partners around 25 summer camps., Here international groups live, learn and work jointly for two to three weeks. The focal points include discussion on NS history, diverse memory discursions around the immigration society, as well as social engagement against right-wing populism. ASF was from the start involved in the introduction and development oft he EVS and, within the framework of EVS, sends volunteers to programme and partner countries. At present between 35 and 40 ASF volunteers annually carry out their service withing the EVS framework. From 2018 this will also take place within the ESC frame work.